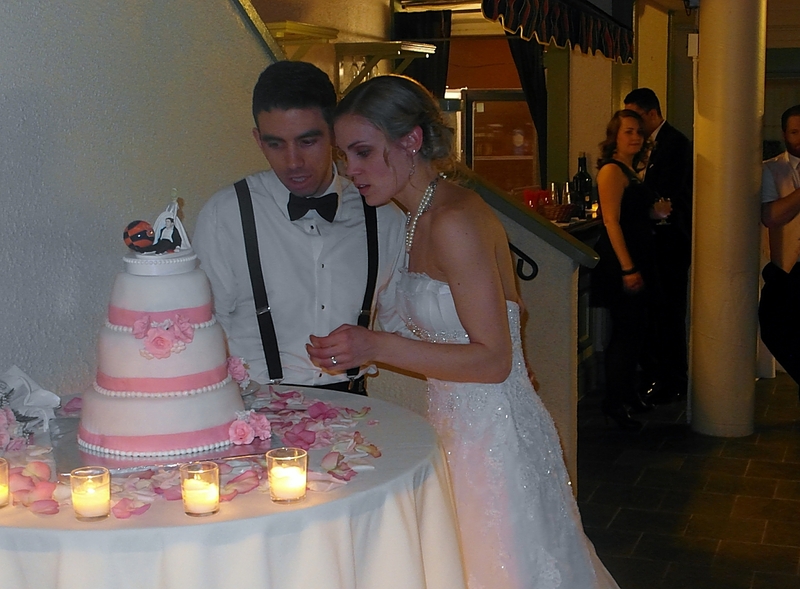 Let’s kick off our 2015 wedding event recaps where our 2015 season officially began.. about 150 miles to the East of our home base in Saratoga Springs, NY. 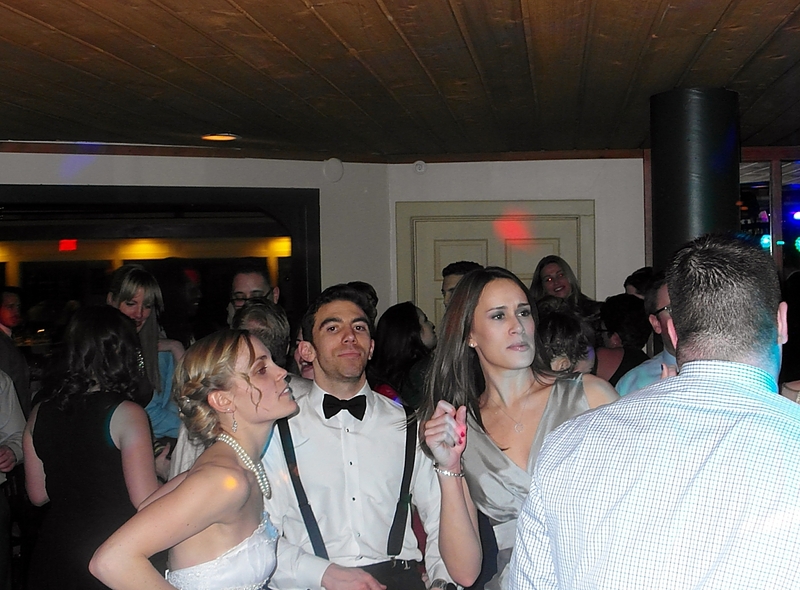 It’s always fun to travel, but travel in February in Upstate New York often comes with its own set of challenges. 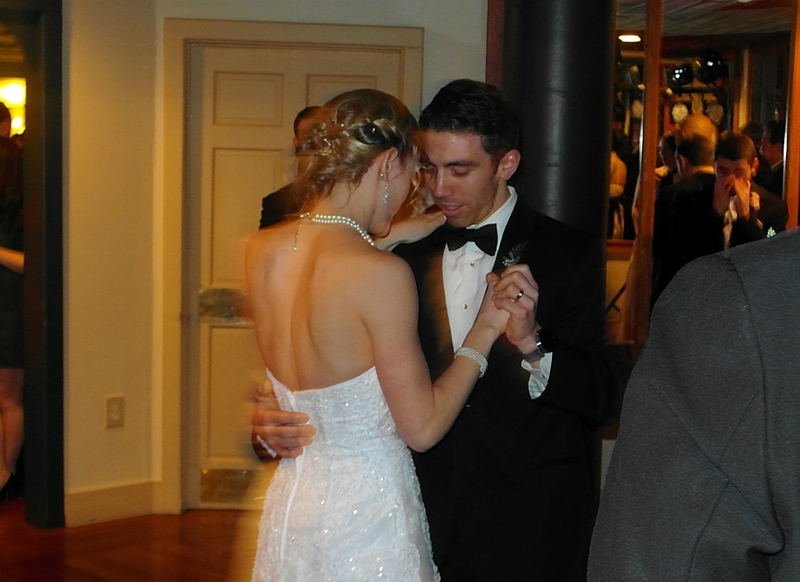 Fortunately, the ride to Saratoga had no problems, however the ride back as a different story. 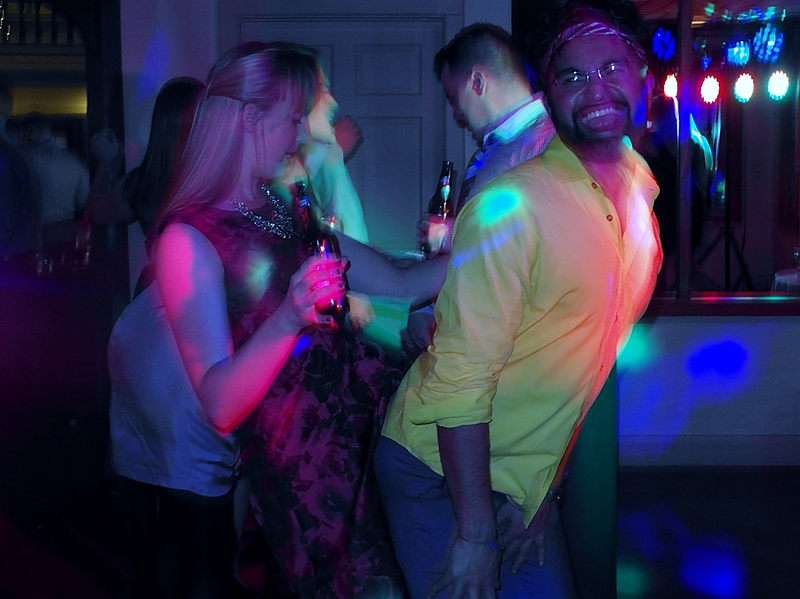 But this isn’t a travel blog… this is meant to feature what happened between the travel. 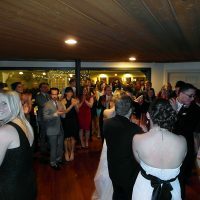 The awesome wedding reception that kicked off our best year in one of the best venues that SCSM has been privileged to work in. This is the story of the wedding reception of Ryan McFadden and Sarah Janssen. 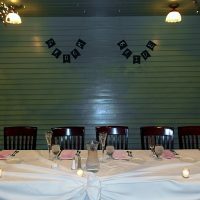 As the guests came in and enjoyed their cocktail hour, several things were noticed right away. 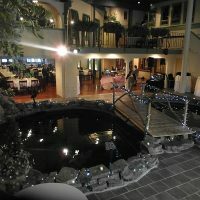 It was impossible to miss features like the indoor koi-pond, complete with bridge, or the Syracuse Basketball cake topper, adorned with “You Will Have Your Cake, And Eat It Too” wooden sign. 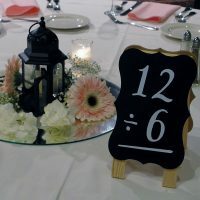 But also, while Ryan and Sarah awaited their introductions upstairs, away from the guests, they gave everyone a little thinking problem with their table number. 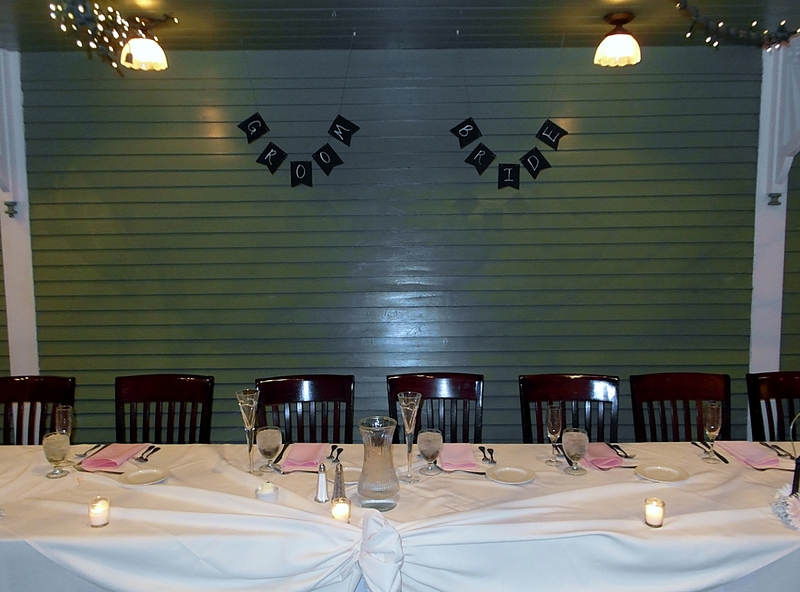 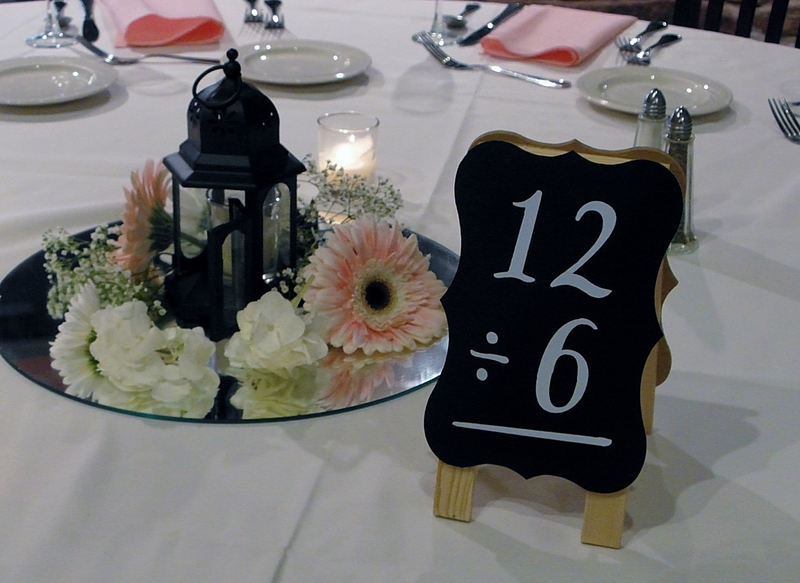 Instead of the usual written number, the seats had math equations that the guests had to solve to figure out which table was theirs. 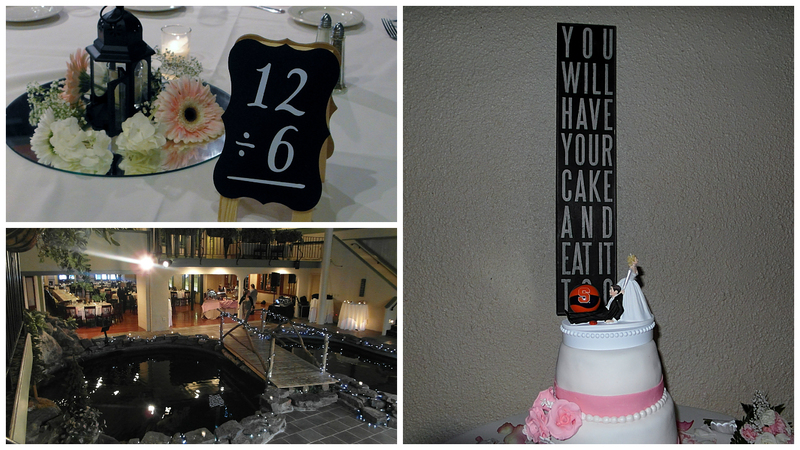 I know what you’re thinking… Ryan and Sarah made their guests do math while they sat upstairs? 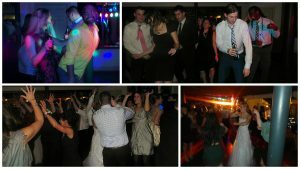 Are these people sociopaths? 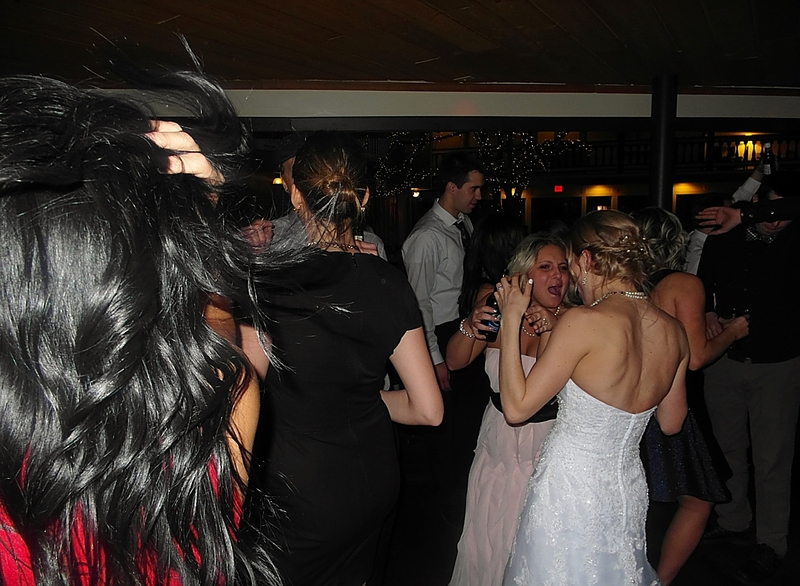 Acutally, no. 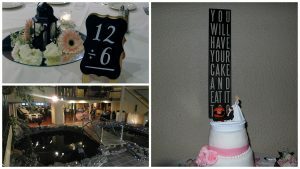 They’re lovely people and the math equations added a cool, unique touch to their wedding. 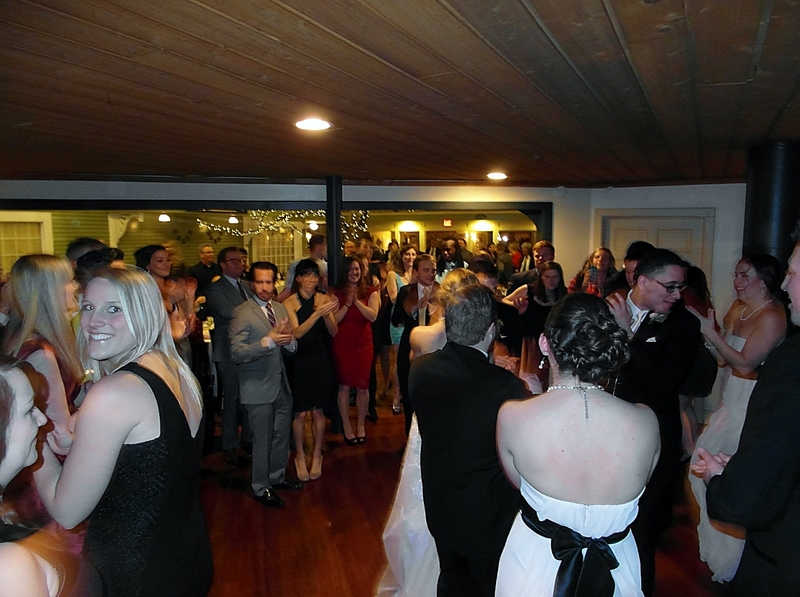 The reception began with the introductions. 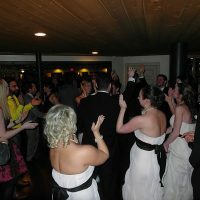 The path for the entrances took our people of honor down a staircase, over the bridge of the koi pond and onto the dance floor. 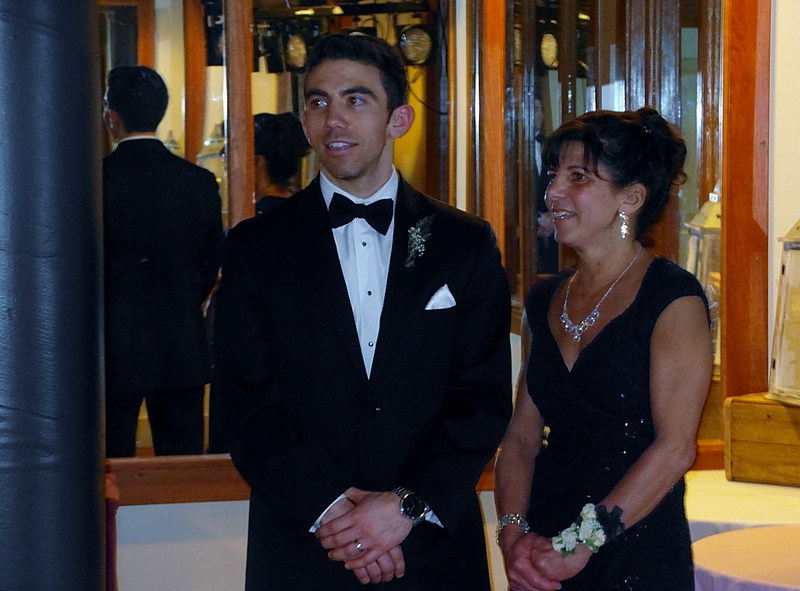 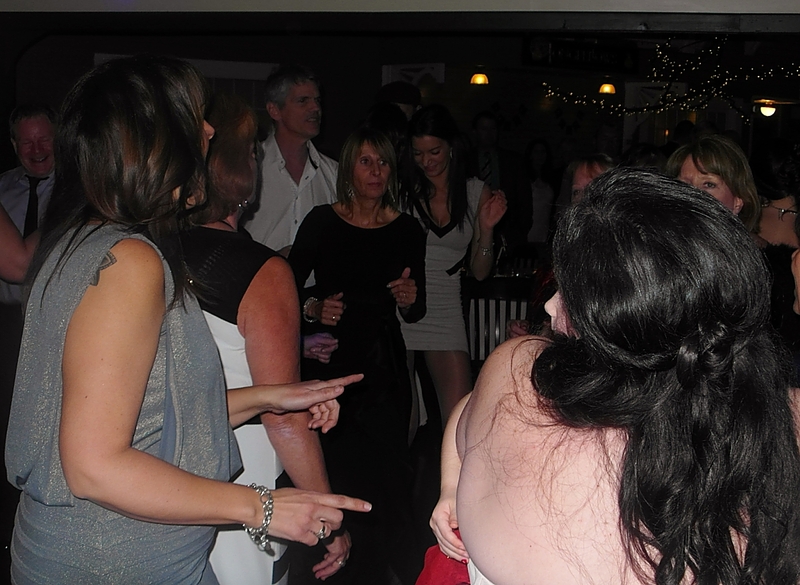 First up were the parents all coming out to a single song (Forever – Chris Brown). 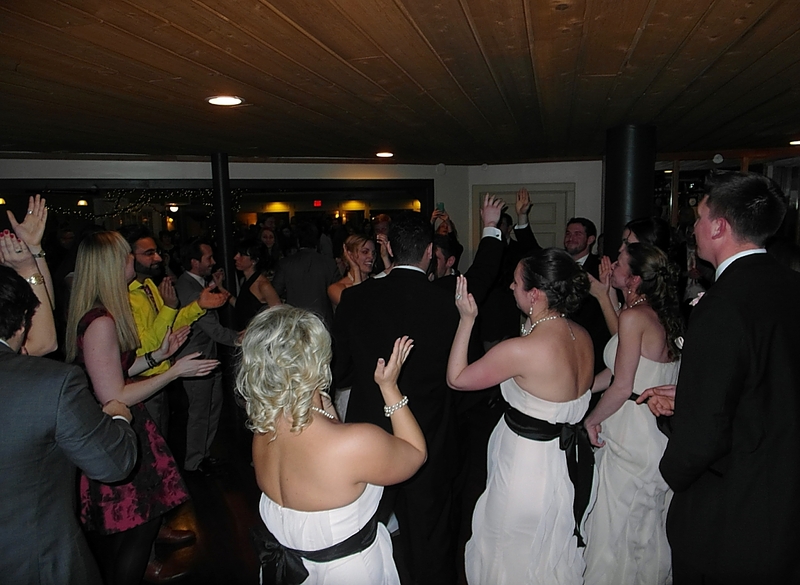 The wedding party was next and they set the tone for something that ended up being incredibly popular for 2015… single music per couple. 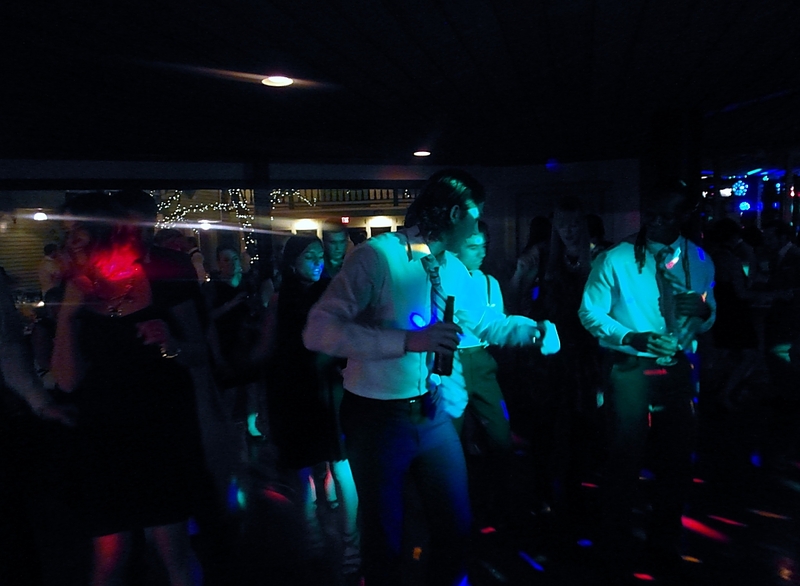 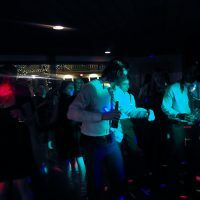 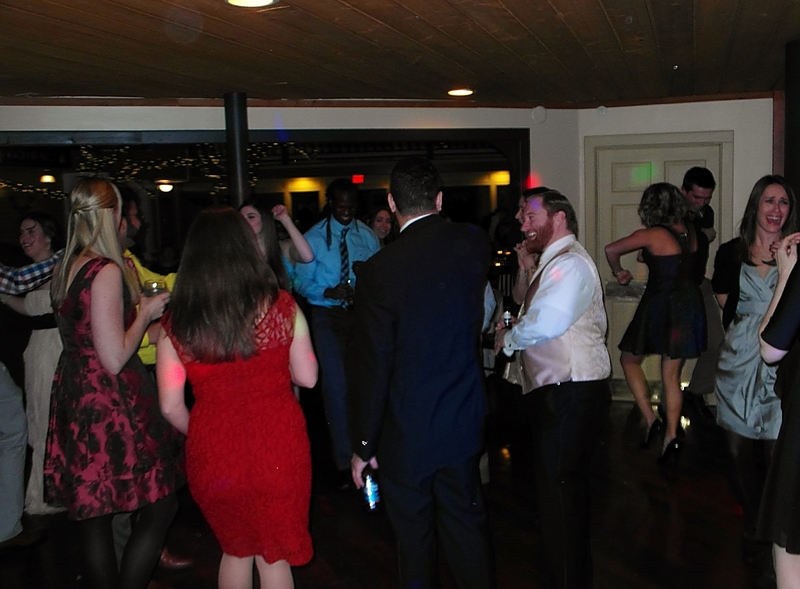 As each pairing of the wedding party came in, they had their own theme music, so the guests were treated to a variety of songs ranging from Queen to Taio Cruz to Jason Derulo to Inner Circle. 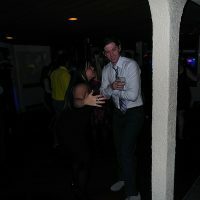 For those interested, the full list will be posted below. 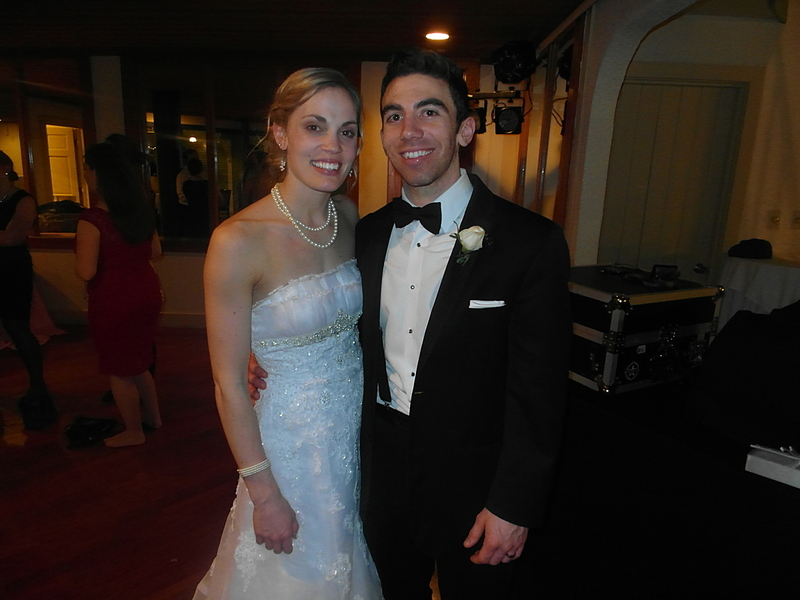 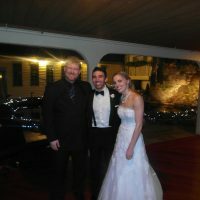 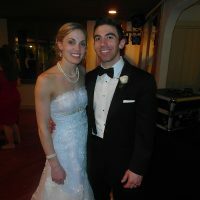 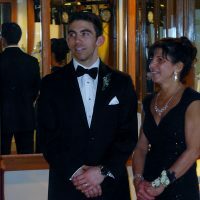 For Ryan and Sarah, however, they came into a custom SCSM mix of two songs (Forever – Drake/Kanye West / Suit and Tie – Justin Timberlake). 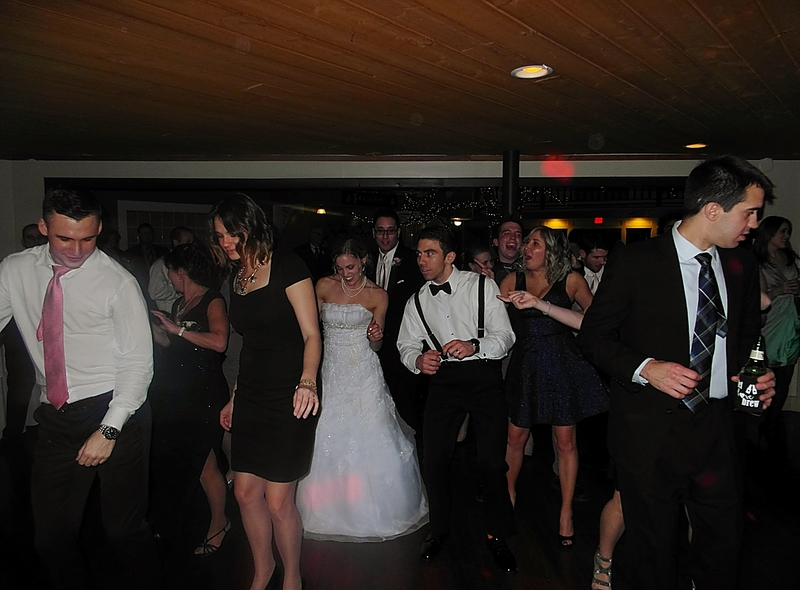 When the official dances began, Ryan and Sarah kept the custom mixes going. 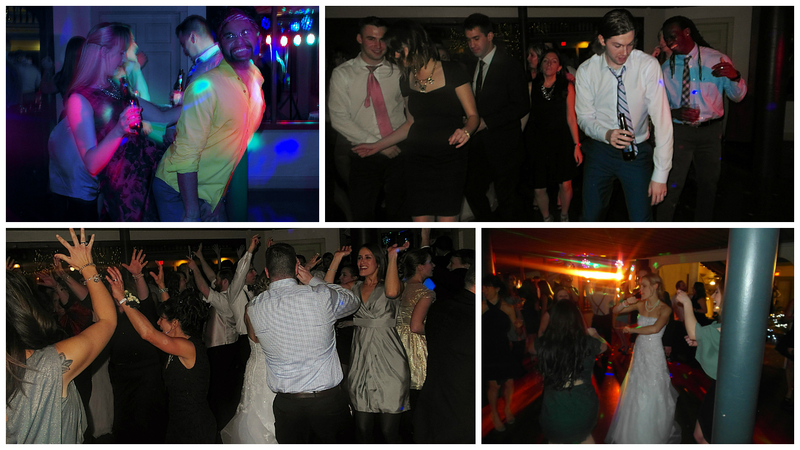 The popular song in 2014 into 2015 for weddings was All of Me – John Legend. 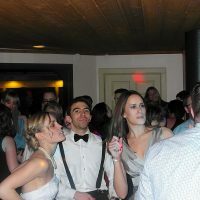 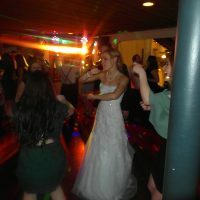 With the Tiesto remix on the charts, Salt City Sound Machine combined the two songs for the McFadden wedding, starting with the slow nature of All of Me, and mixing in the more dance floor friendly Tiesto remix at the end. 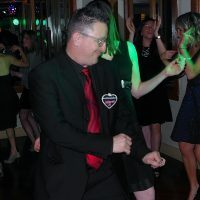 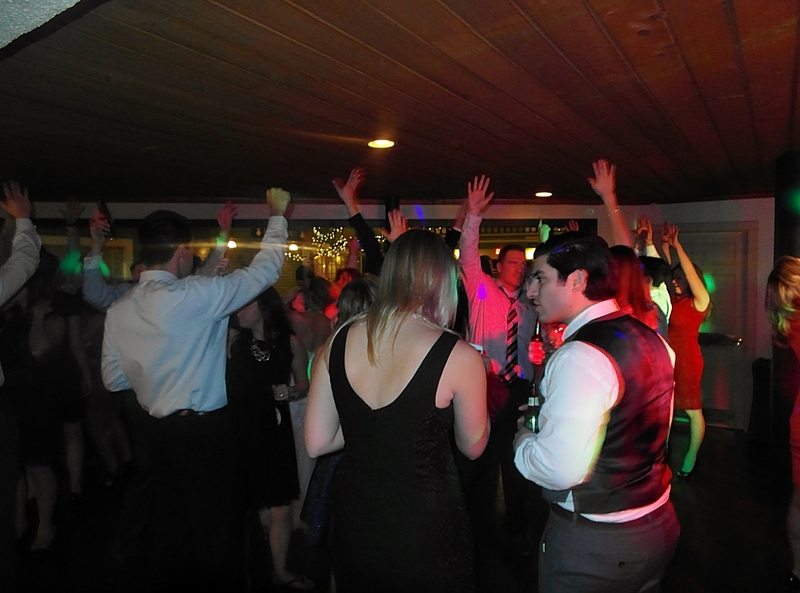 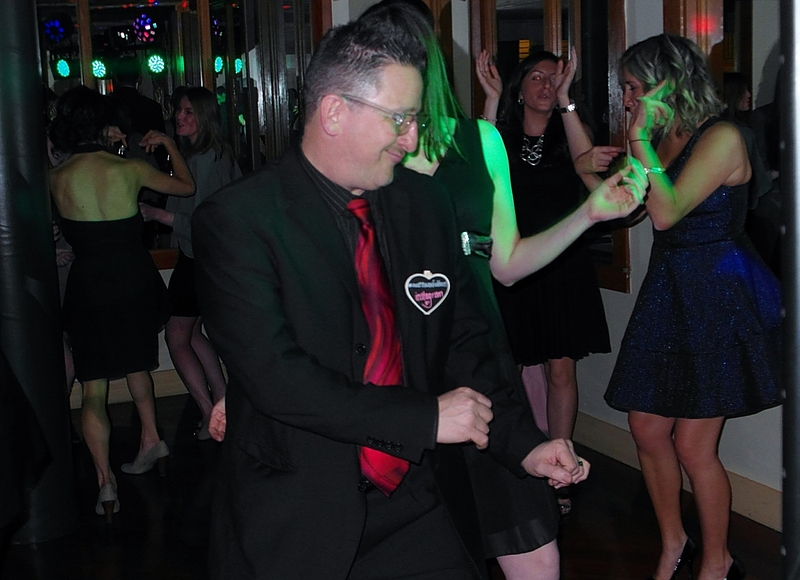 As the first dance evolved and Tiesto came through the speakers, everyone was invited onto the dance floor to join Ryan and Sarah for and upbeat dance. 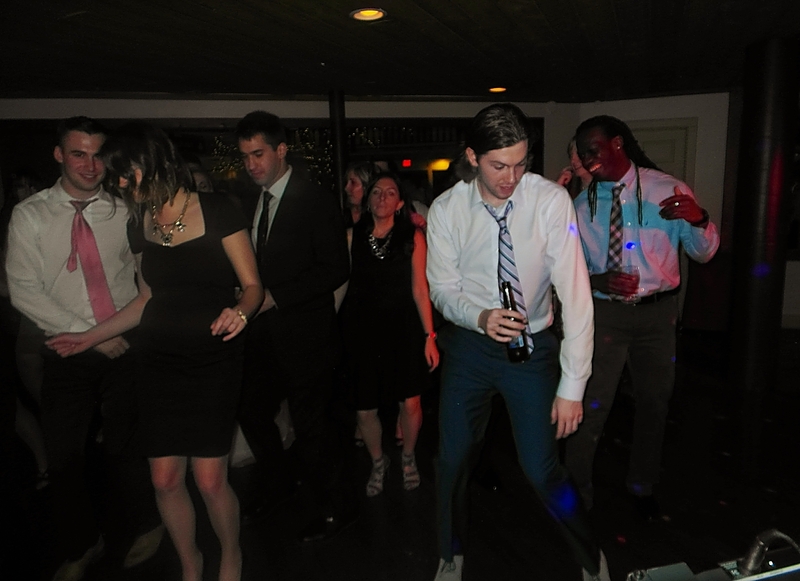 It was something that really set the tone for how the night was going to go. 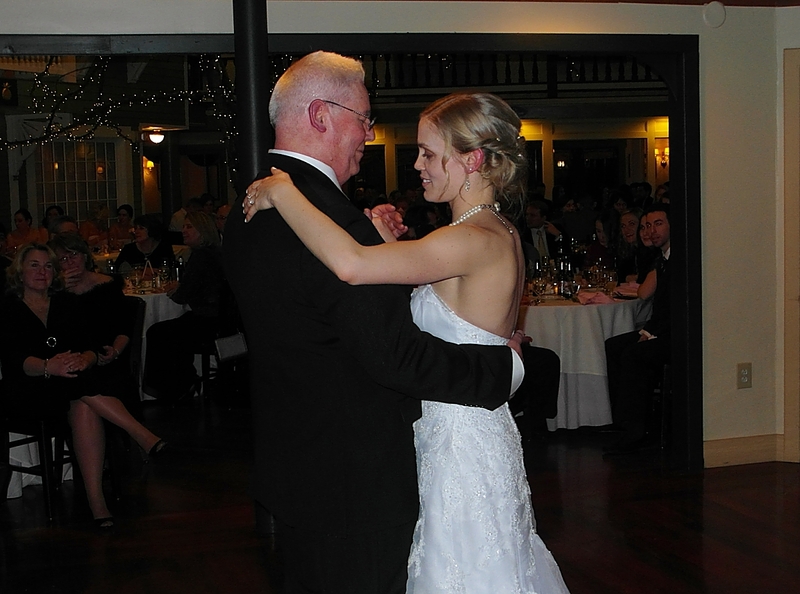 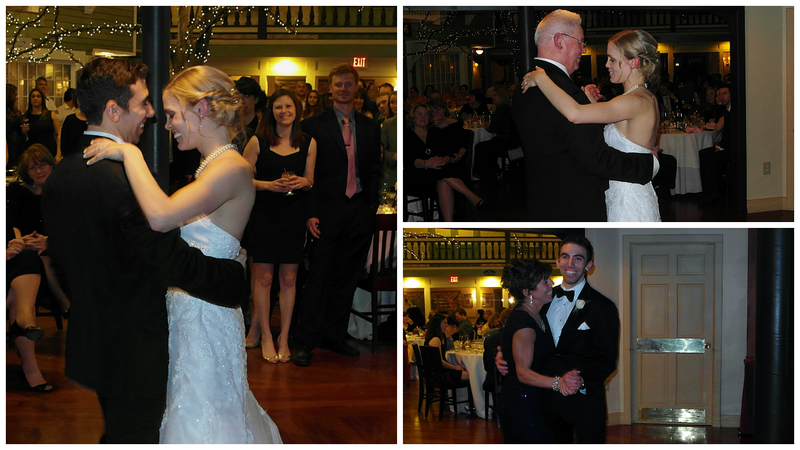 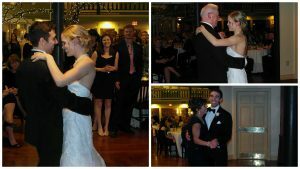 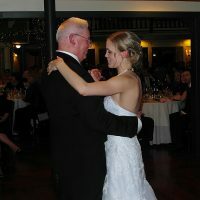 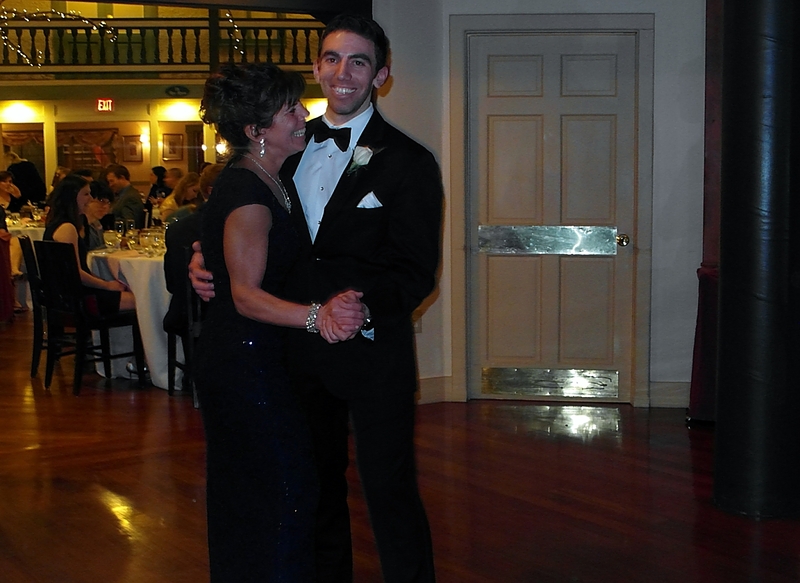 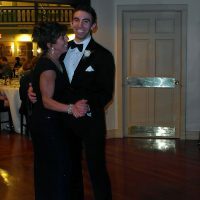 The dances were not over, however, so everyone had to get back in their seats for the Father/Daughter Dance (Walk With You – Edwin McCain) and the Mother/Son Dance (A Song For Mama – Boyz II Men). 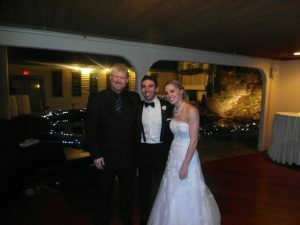 Finally, after some great toasts and speeches, it was time for dinner. 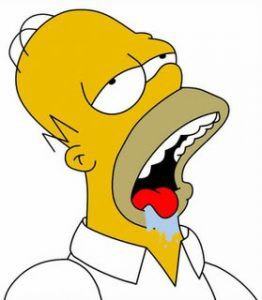 Speaking of dinner… NY Strip topped with Gorgonzola Cheese…. 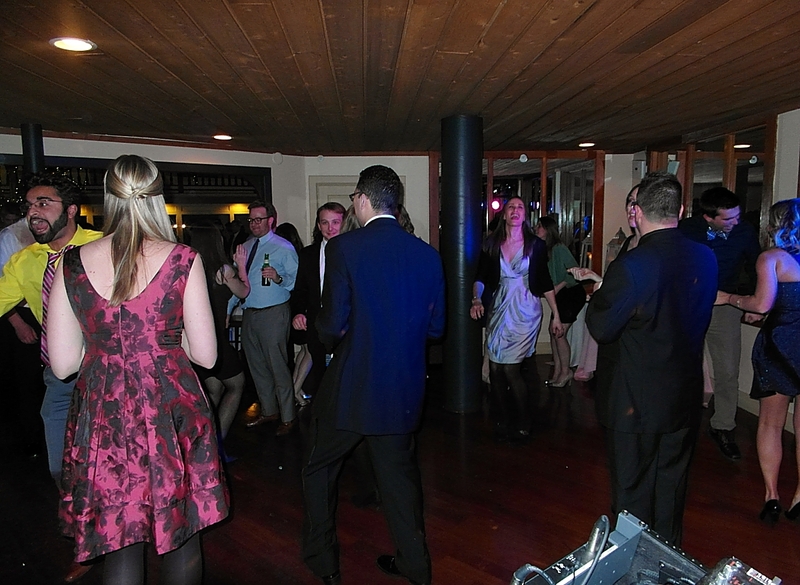 After dinner, the guests simply dominated the dance floor. 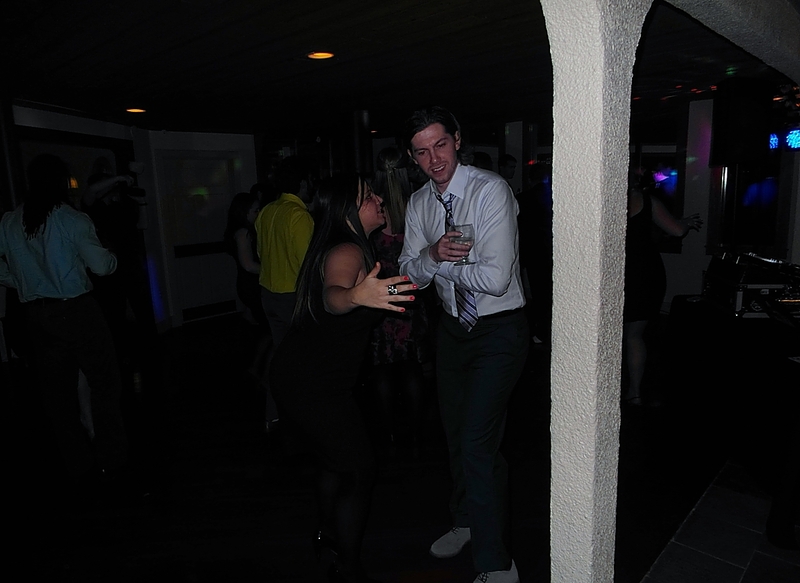 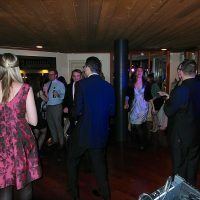 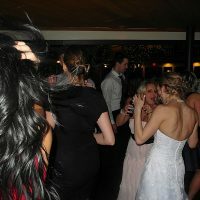 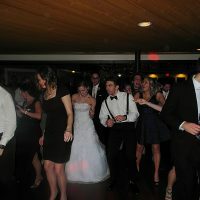 Ryan and Sarah assured me ahead of time that their wedding guests were big time dancers, and they did not disappoint. 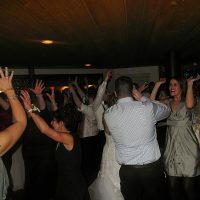 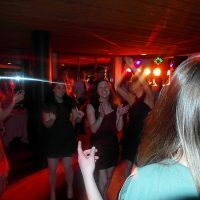 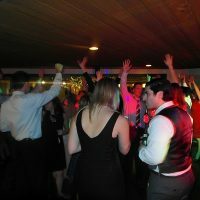 Guests danced all night to long time favorite songs, plus requests from the Bride and Groom ranging from Darius Rucker to Beyonce. 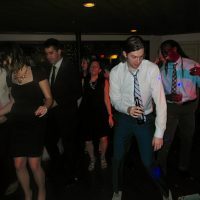 There was even a moment in the night where I took off my tie and turned it into a makeshift limbo stick for a great, impromptu limbo contest. 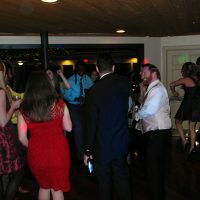 I did that at later weddings, but this was the first time it occurred to me. 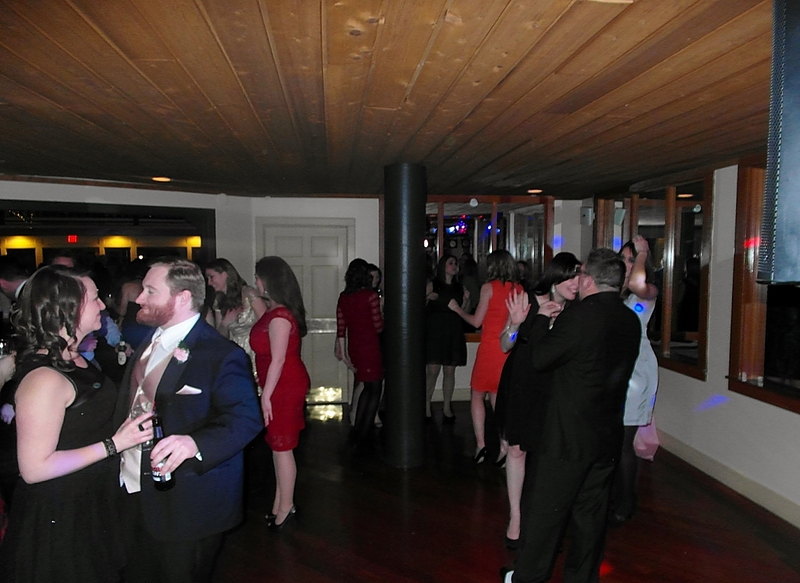 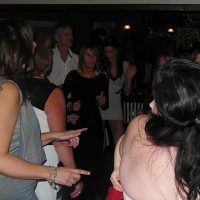 The dance floor was flaming hot and the guests only made it hotter as the night went on. 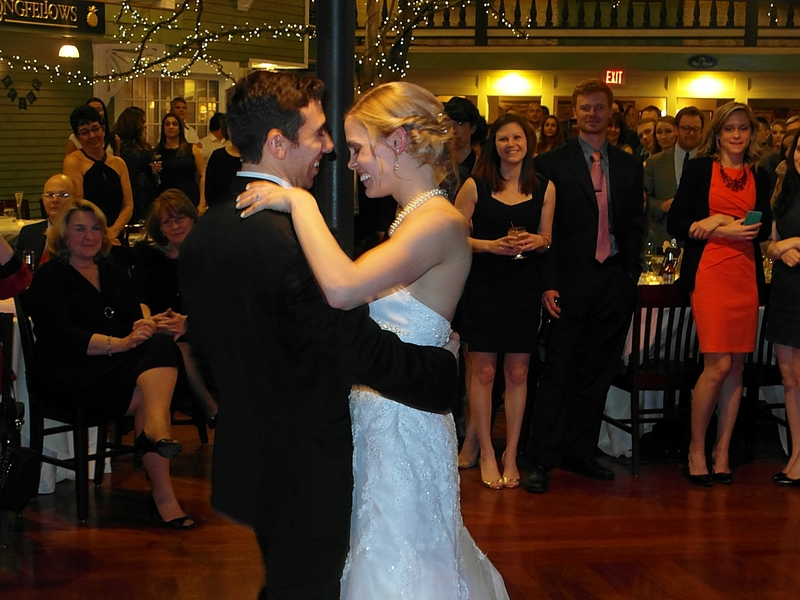 Ryan and Sarah had their share of special moments as well. 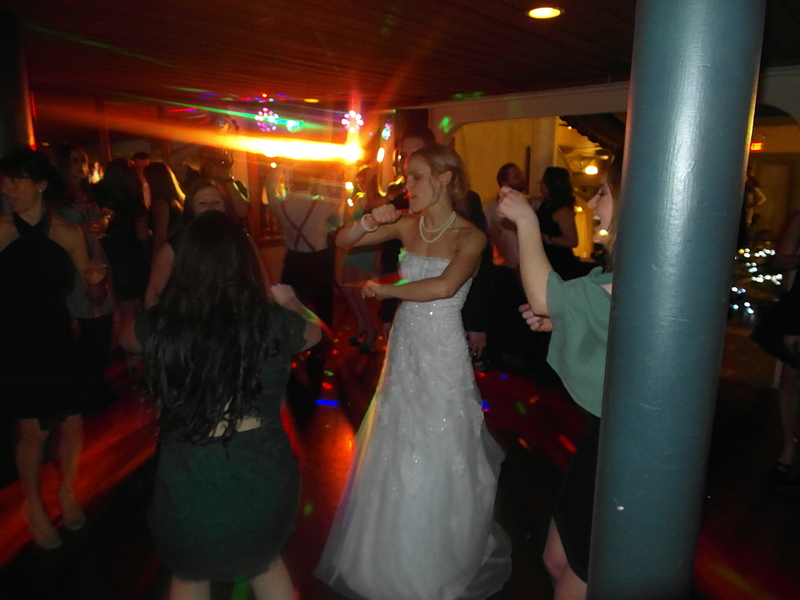 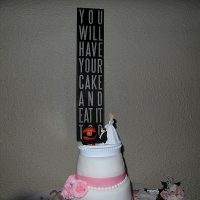 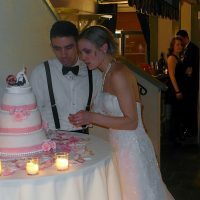 Along with the wedding standard Cake Cutting (Sugar – Trick Daddy) and Bouquet Toss (Single Ladies (Put a Ring On It – Beyonce), they also had a handful of specific songs and requests meant to make their day perfect. 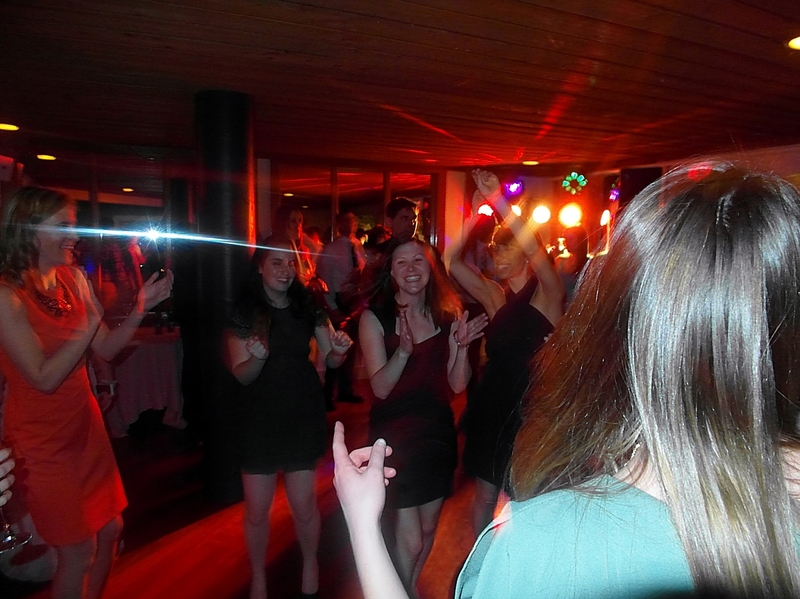 They chose a song to pay tribute to their family members who have passed on (Heaven – Beyonce). 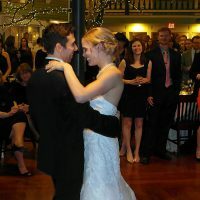 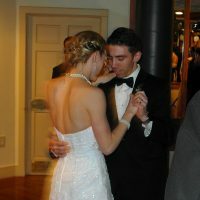 And for those who were still here and married, Ryan and Sarah had a Generations Dance for them featuring 3 songs (You and I – John Legend / Then – Brad Paisley / The Way You Look Tonight – Frank Sinatra). 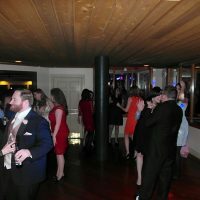 So overall, their specific moments had their time, but it didn’t overshadow the fun times people were having throughout the night. Congratulations to Ryan and Sarah. 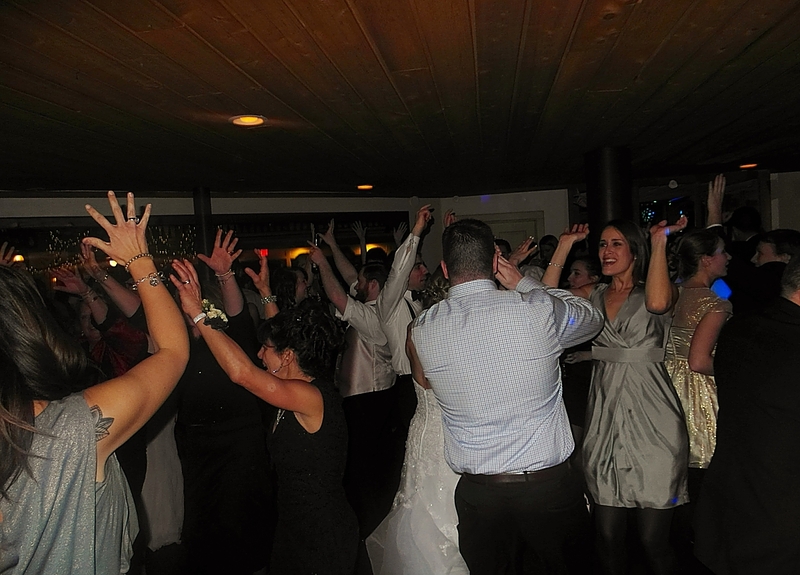 Thank you for choosing Salt City Sound Machine. 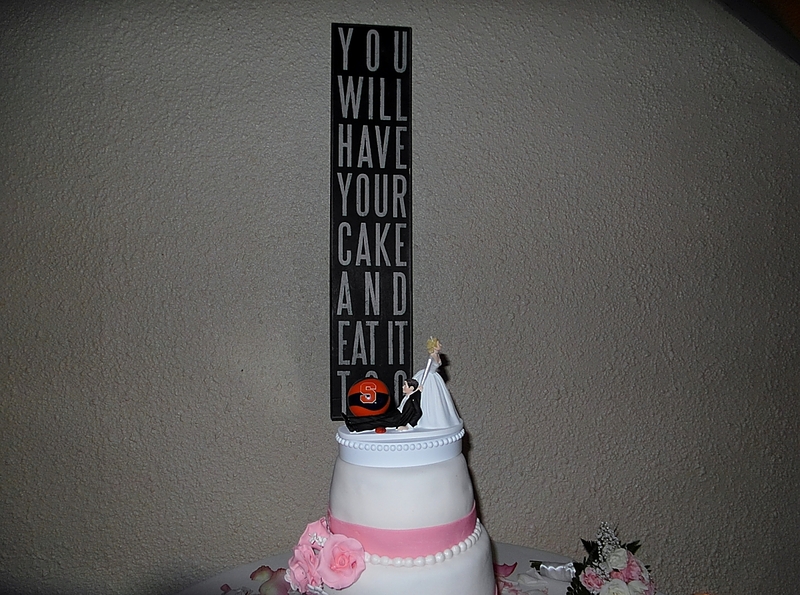 We wish you the best of luck in the future!